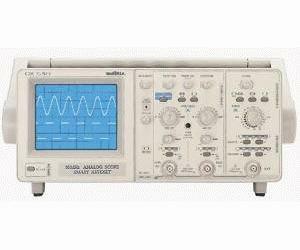 The OX 530 oscilloscope is a simple, economical instrument but nevertheless complete and modern. SMART AUTOSET, ALT and CHOP modes are automatic. It has high-quality plotting and contrast. In addition, electronic switching and CMS technology add to its reliability.